StickyGram is a fun company that takes your Instagram photos and turns them into magnets. We have a few sets on our fridge and they make me smile every time I see them. I love having sweet memories scattered around the house- little bits of happy. 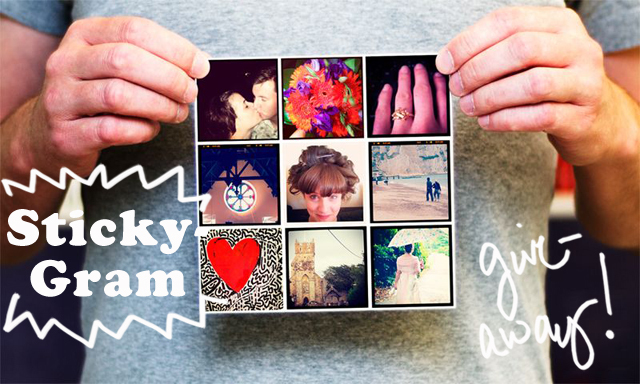 :) Today StickyGram is here to offer 3 different winners their very own set of 9 StickyGrams! Please leave a separate comment for each entry. The winners will be drawn on Tuesday, February 19th and announced shortly after. Good luck, friends! **You can find out who won the Minnetonka giveaway here! I think I would stick everywhere! I the the grandparents would appreciate a few stuck to their fridges! following on twitter, FB and Pinterest! Definitely on the bathroom mirror and fridge! I would love this! I have a 365 Project where I'm trying to take an Instagram every day of 2013 and I already have a ton I would love to put on my fridge! Our fridge! We want to eventually cover a whole side, my daughter likes finding new places for them too! I'd love to stick them on my fridge, on the bathroom mirror, (it's magnetic!) and also on my home office whiteboard! Where wouldnt I stick them? On all of our mirrors, the fridge (the obvious one), door and window frames and some cute ones on the letter box just for fun! I love these, I have a few sets on my fridge - it's the only place I have to stick them! I like StickyGram on facebook! I'd stick them on the fridge, and pretty much anywhere else they can go! Love them! I want to win so bad! anywhere magnetic. i would scatter them around the house so that there was always one waiting to make me smile. i followed them on FB too! And Ive also liked them on Facebook. In my classroom at the art academy! these are so adorable. i'd stick mine to my big inspirational bulletin board next to my desk. I'd stick mine on the mirror of the bathroom and hallway ! So fun ! Plus, I like them on facebook and follow them on Pinterest. I would stick some on the fridge, some in sewing room, and some in my office at work. I would like to win this and get picture of my friend's new baby to give to her, so she can see how much Matilda has changed. I've also followed on twitter. i've wanted to order a set of these for a while, so it would be cool to win it! they would definitely be up on the fridge with our other travel magnet collection. I'd stick them all over our fridge, they would look so lovely! Those would be so stellar on my mini-frigde at school! Love! I would stick them on my fridge but I am certain with a 4-year-old running around they wouldn't stay there for long! Started following them on facebook! I didn't realize they had a pinterest! I am now following them there too. what a good way to remember us to print our pictures. so much pictures in our phone or computer not enough in our home ! They would have to go on our fridge! I use it everyday of course & would want the pleasure of seeing our memories all the time! cute giveaway!! oups i forgot to tell you where i would put them ! on my magnetic frame in front of my computer so i could see everyday my beautiful memories ! I would probably add them to my fridge and freezer as well, to give my kitchen a little personal detailing!! I would stick them on my fridge! Maybe even the dishwasher to make it a little more interesting! I would love to make as big canvas full of these! i have been wanting some of these so bad! would love to have them! these are so cool! I'd put them on the fridge... and maybe a couple on the dryer to make laundry time a little happier! I liked StickyGram on Facebook! 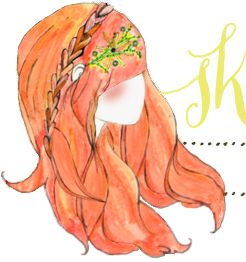 I follow StickyGram on Pinterest! I would stick a couple on the metal dash of my car and the rest on the fridge and bathroom cabinet! I love them!! I would love these for my fridge! i would send them to my parents with pictures of my kids since we live far away from them! I would have them on a metal drink cart! i also liked stickygram on pinterest. I woud love them all of my fridge! Instead of collecting magnets from my travels, I could make StickyGrams from my travels. It would be perfect! Also - it would be great peek-a-boo gift to send relatives far away. i also like stickygram on facebook. I would fill up my fridge with sticky grams! I would make them for my best friend who is an instagram addict. And then I would give them to her. I'm sure she would adorn her fridge with them. I have started a cool wall in my kitchen with all sorts of fun things and pictures so I would stick them there! i love stickygrams! i would put them on the fridge and on a magnet board i made and keep by my sewing machine. i'd love to cover our ugly old fridge in stickygrams! I would put them in my journal, and make little magnets with them. These are fantastic! I would put them on the bottom part of my fridge so my 2 year old can see them and play with them. He would love them! Liked on Facebook! I've always wanted to try these! i would love to stick these on my fridge! following on facebook and pinterest! I would share these with my mother and father in-law who live in Ireland. As we don't see each other face to face very often at all, I would send a couple of the Mr and I to them. I would also keep a few on our fridge at home of all the wonderful memories we have made and captured! The door to our house is magnetic! These would be the perfect way to never leave or come home with a frown! I would love to have a few instagram magnets to hang around the house! How fun! I'd probably put mine on my file cabinet in my home office, I spend the most time here and so far, it's just an ugly, functional piece of furniture! Following on Pinterest. These are so cute! I would put them on my fridge of course! Hooray!! 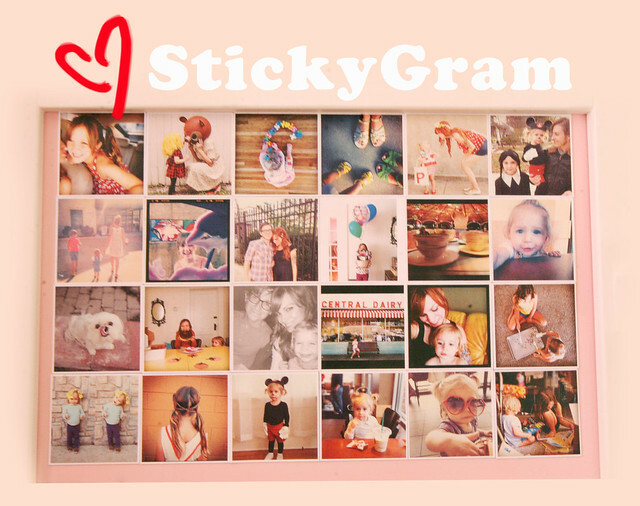 Looove stickygrams... Would use them on our magnetic craft board!! Adorable! I'd put these in my husband's in-home office as a sweet surprise. We had a baby in July and our little boy is just starting to be hilarious, which makes for awesome Instagram posts! I would hang them on the metal tray on my bedroom wall! Annnnd I 'liked' Stickygram on Facebook! Love these! I would definitely put them on the fridge. The kitchen always seems to be where people hang out when they come over so it'd be great to show them off. On the fridge of course! But if I could find anything else magnetic around the house, I bet I'd pop one here and there too! I'd put them on my fridge, too! It's in an obvious location so everyone could see my cute 'grams! I would put them on the mirrors in my bedroom! I started following sticky gram on pinterest! Oh on my mirror in my uni room. Defo. Love them so much! Definitely on my fridge. It's currently covered in a "Nerd Words" magnet set and it drives me crazy! There are hundreds of little powerless magnets constantly falling off. Plus Stickgrams are so much prettier! :) Haha. I would put my sticky grams all over the mini fridge in my living room! perfect place to showcase some pics! I would stick them on my fridge! I have been wanting some of these! I would definitely use them on my fridge! I've been wanting to order some of these for a long time! I would put them on my fridge and I would probably share a few with my mom. Also following Stickygram on Pinterest. Liked Stickygram on Facebook as well. I'd put them everywhere! I'm following stickygram on Twitter! I would place them all over my fridge to bring some added cheer to my kitchen! Would definitely put them on our fridge! I'm moving into my own apartment next year and having StickyGram magnets on my fridge would be a perfect reminder that my family isn't too far away. On the fridge!! I love putting stuff on my fridge. would love to put these all over the fridge so my nephews can play with them! These would be adorable on the fridge or bathroom mirror as sweet little friend reminders! I would love these on the side of our little mini-fridge in our bedroom! I'd print of pictures of me and my roommates and put them on our front door, along with all our funny pickup lines! Liked on facebook as Erin Nicole Hemmelgarn! I would definitely put prints of my wedding photos on my fridge! following on pinterest as Erin Hemmelgarn!